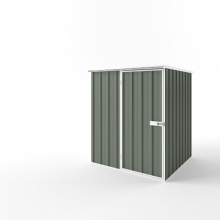 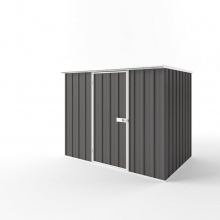 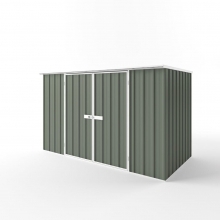 The EasyShed boxed garden shed range was developed through extensive market research and in response to strong customer demand. 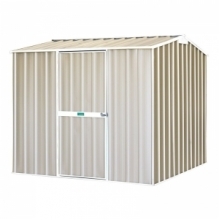 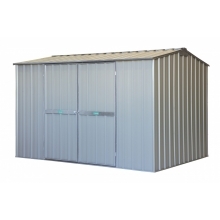 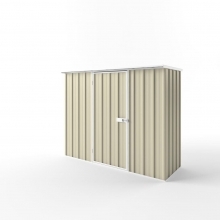 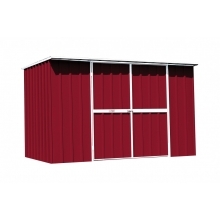 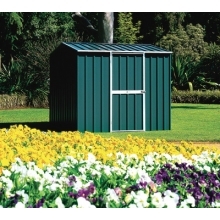 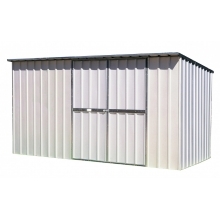 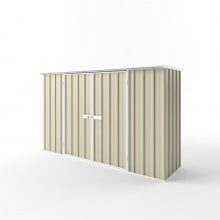 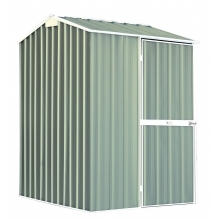 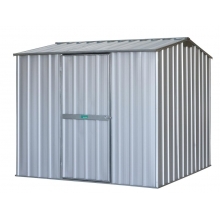 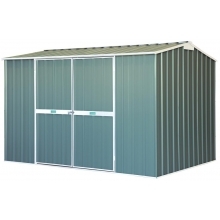 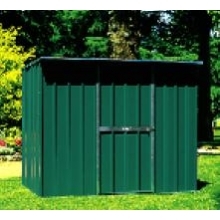 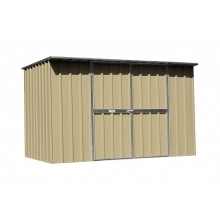 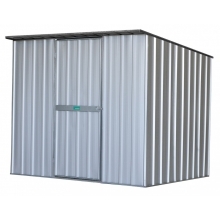 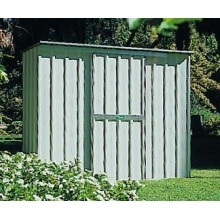 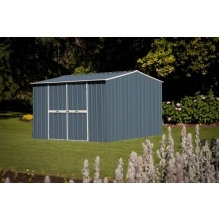 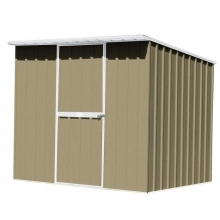 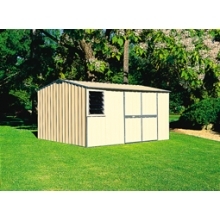 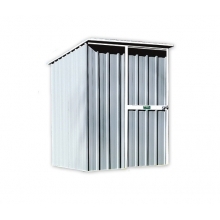 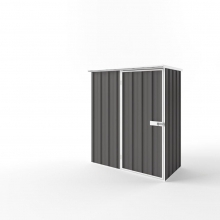 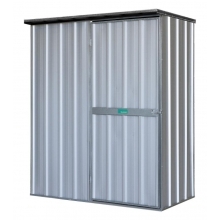 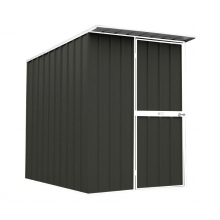 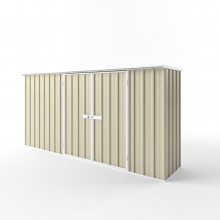 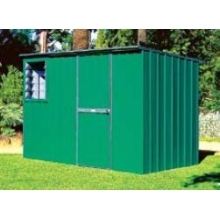 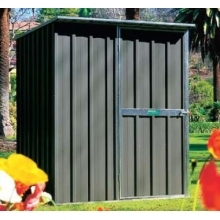 EasyShed combines the most popular aspects of garden shed design with convenience and ease of assembly. 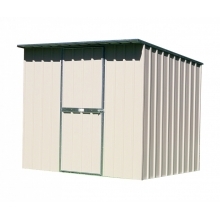 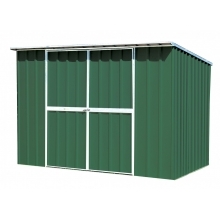 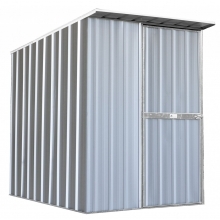 They are available in various sizes each in Flat, Skillion, Gable Roof styles, a number of colour choices, and with a range of optional extras to add value and versatility. 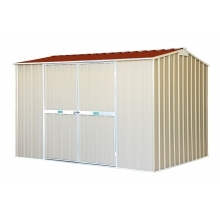 Call us on (03)59771400 or SMS to 0412 160 604 to get the best price available when you have found the shed to suit your needs. Please be aware that the EasySheds are Do-It-Yourself kit sheds which require assembly and are delivered in boxed cartons for installation. 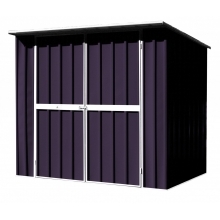 We can also provide an installation service and various floor options. 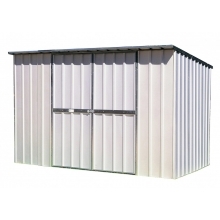 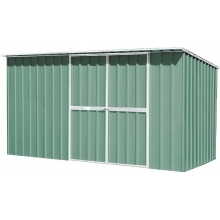 Gable Roof Shed 1.50m(width) x 1.50m(depth) x 1.97m (height) Zincalume The most po..
Skillion Roof Shed 1.5m (width) X 1.5m (depth) X 1.98m (back wall height) EasySHE..
Flat Roof Shed 1.50m (width) x 0.75m(depth) x 1.82m(height) Zincalume EasySHED® F..
Gable Roof Shed 1.50m (width) x 1.50m(depth) x 1.97m(height) Colorbond EasySHED® ..
Skillion Roof Shed 1.5m (width) X 1.5m (depth) X 2.10m/1.8m (front/back wall height) ..
Skillion Roof Shed 2.25m (width) X 1.5m (depth) X 2.1m/1.8m (front/back wall height) ..
Flat Roof Shed 1.5m (width) X 0.78m (depth) X 1.82m (height) EasyShed�..
Flat Roof Shed 2.25m (width) x 0.75m(depth) x 1.82m(height) Zincalume EasySHED® F..
Gable Roof Shed 2.25m(width) x 1.50m(depth) x 1.97m (height) Zincalume The most po..
Skillion Roof Shed 2.25m (width) X 1.5m (depth) X 1.98m (back wall height) EasySH..
Flat Roof Shed 2.25m (width) X 0.78m (depth) X 1.82m (height) EasyShed..
Gable Roof Shed 2.25m (width) x 1.50m(depth) x 1.97m(height) Colorbond EasySHED® ..
Flat Roof Shed 3.0m(width) x 0.75m (depth) x 1.82m (height) EasySHED® Flat Roof Garden Shed ..
Gable Roof Shed 3.0m(width) x 1.50m(depth) x 1.97m (height) Zincalume The most pop..
Flat Roof Shed 3.0m (width) X 0.78m (depth) X 1.82m (height) EasyShed�..
Skillion Roof Shed 3m (width) X 1.5m (depth) X 1.98m (back wall height) EasySHED ..
Gable Roof Shed 3.0m (width) x 1.50m(depth) x 1.97m(height) Colorbond EasySHED® F..
Flat Roof Shed 3.75m(width) x 0.75m (depth) x 1.82m (height) EasySHED® Flat Roof Garden Shed..
Gable Roof Shed 2.25m (width)x 2.25m(depth) x 2.05m(height) Zincalume The most popular style ..
Skillion Roof Shed 3m (width) X 1.5m (depth) X 2.10m/1.8m (front/back wall height) ..
Skillion Roof Shed 3.75m (width) X 1.5m (depth) X 1.98m (back wall height) EasySH..
Flat Roof Shed 3.75m (width) X 0.78m (depth) X 1.82m (height) EasySHED..
Gable Roof Shed 2.25m (width)x 2.25m(depth) x 2.05m(height) Colorbond EasySHE..
Gable Roof Shed 3.0m (width)x 2.25m(depth) x 2.05m(height) Zincalume The most popular style i..
Skillion Roof Shed 3.75m (width) X 1.5m (depth) X 2.1m/1.8 (front/back wall height) ..
Gable Roof Shed 3.0m (width)x 2.25m(depth) x 2.05m(height) Colorbond EasySHED..
Flat Roof Shed 1.5m(width) x 1.5m (depth) x 1.82m (height) EasySHED® Flat Roof Garden Shed m..
Skillion Roof Shed 1.50m (width) x 1.90m(depth) x 1.98m(height) Zinc-Aluminium ..
Flat Roof Shed 1.5m (width) X 1.5m (depth) X 1.82m (height) EasyShed®..
Skillion Roof Shed 1.5m (width) X 1.9m (depth) X 2.1m/1.8m (front/back wall height) ..
Gable Roof Shed 3.75m (width)x 2.25m(depth) x 2.05m(height) Zincalume The most popular style ..
Flat Roof Shed 2.25m(width) x 1.5m (depth) x 1.82m (height) EasySHED® Flat Roof Garden Shed ..
Skillion Roof Shed 2.25m (width) x 1.90m(depth) x 1.98m(height) Zinc The Ski..
Gable Roof Shed 3.75m (width)x 2.25m(depth) x 2.05m(height) Colorbond EasySHE..
Flat Roof Shed 2.25m (width) X 1.5m (depth) X 1.82m (height) EasyShed�..
Skillion Roof Shed 2.25m (width) X 1.9m (depth) X 2.10m/1.8m (front/back wall height)..
Gable Roof Shed 3.0m (width)x 3.0m(depth) x 2.10m(height) Zincalume The most popular style in..
Flat Roof Shed 3.0m(width) x 1.5m (depth) x 1.82m (height) EasySHED® Flat Roof Garden Shed m..
Skillion Roof Shed 3.0m (width) x 1.90m(depth) x 1.98m(height) Zinc The Skil..
Gable Roof Shed 3.0m (width)x 3.0m(depth) x 2.10m(height) Colorbond EasySHED�..
Flat Roof Shed 3.0m (width) X 1.5m (depth) X 1.82m (height) EasyShed®..
Flat Roof Shed 3.75m(width) x 1.5m (depth) x 1.82m (height) EasySHED® Flat Roof Garden Shed ..
Skillion Roof Shed 3.0m (width) X 1.9m (depth) X 2.1m/1.8m (front/back wall height) ..
Gable Roof Shed 3.75m (width)x 3.0m(depth) x 2.10m(height) Zincalume The most popular style i..
Flat Roof Shed 3.75m (width) X 1.5m (depth) X 1.82m (height) EasySHED�..
Skillion Roof Shed 3.75m (width) x 1.90m(depth) x 1.98m(height) Zinc The Ski..
Gable Roof Shed 3.75m (width)x 3.0m(depth) x 2.10m(height) Colorbond EasySHED..
Skillion Roof Shed 3.75m (width) X 1.9m (depth) X 2.1m/1.8m (front/back wall height) ..
Gable Roof Shed 3.75m (width)x 3.75m(depth) x 2.18m(height) Zincalume The most popular style ..
Gable Roof Shed 3.75m (width)x 3.75m(depth) x 2.18m(height) Colorbond EasySHE..